Disney Movie Auditions are on! Disney Studios Pete’s Dragon is having a casting call for the lead role of Pete. If you have dreams of being the next big Disney star and want to know how to get into a Disney movie, here is your chance because the studio is on a nationwide talent search for a child actor to fill a lead role in a huge film. The classic musical is being remade by Disney Pictures and casting directors with Disney Studios are holding a nationwide open casting call for the lead role of “Pete”. The film will be a live action film with an animated Elliot, the dragon… much like the 1977 movie was.However, over 35 years have passed since “Pete’s Dragon” was originally produced and graphics have improved dramatically which will make Elliot the dragon probably look AMAZING! Debra Zane is the casting director for the movie and she and her team will be allowing kids from all over the country to submit video auditions online. The Disney Studio is looking for a 9 year old boy of any ethnicity. They are considering young actors of all races for this part, however, you must be 9. This is actually the third Disney open casting call we have posted within the last 30 days. This weekend Disney Channel will be holding their official Open casting call for 2014 and they also just had the one for their remake of the Jungle Book. OK, so the search is on for Elliot the dragons best friend Pete. One lucky and talented boy will get the opportunity of a lifetime and it can be you. Looks as though he’s a part of the forest – dirty, long hair, some of it in ratty dreadlocks; his clothes are in tatters and stitched up with vines and leaves; he has lived in the forest for four years – not your typical suburban kid. Deadline July 18, 2014 – You can go here to upload your self-taped video audition and submit it to the Disney casting directors. You will also find instructions on what to do as well as the sides you should read during your video. In order to work on the film, you must be available Oct. 2014 through Apr. 2015 for filming. The filming location has not yet been disclosed. “Pete’s Dragon” will begin filming in October of this year and will be in production into April of 2015. The film is currently scheduled to be released in movie theaters sometime in 2016. The rest of the cast for this movie have not yet been announced, but it will most likely include some huge stars. The original movie came out in theaters in the year 1977 and included many stars from that time. The original cast included Helen Reddy, Jim Dale, Mickey Rooney, Red Buttons, Shelley Winters, Sean Marshall played Pete, Jane Kean, Jim Backus, Charles Tyner and Jeff Conaway. After losing his parents in a car crash at the age of four, Pete escapes to the forest where he meets a dragon who becomes his closest (and only) companion. When a nearby mill threatens to cut down the forest, Pete encounters his first humans since the death of his parents and is faced with choosing between his dragon friend and the prospect of a traditional childhood. 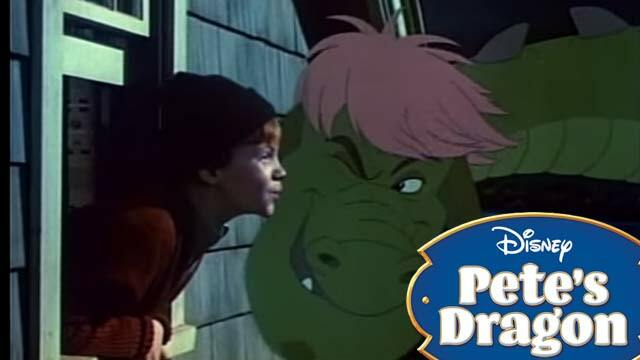 If you are too young to remember “Pete’s Dragon”, take a look at the video from its release back in the day…. hello, I would love to play this part, I’m Hispanic and white, 12 years old and 4’9. I’m really talented and have been in lots I plays too. I have a four year old that is very talented and outspoken. I think he would be a great star on anything you put him in!! Hi my name is Cory, I’m African American, 14 years old and I would love to audition for Pete’s dragon. pick henry, he’s good at acting and singing, he will not let you down. 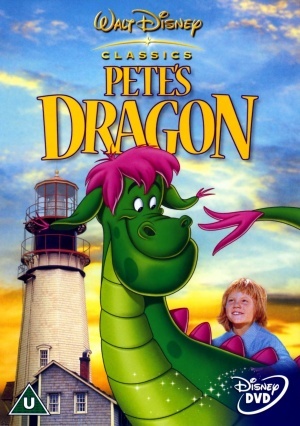 When I was younger Pete’a dragon was my favorite movie! I would watch it literally all day. I’m 15 and I’d love to play the part. I would love to play the role as Pete on Pete’s dragon, I don’t have a lot to say about my self, just that I love acting and I would love to play this part.